Internationally, The Cochrane Collaboration undertakes systematic reviews of primary research in human health care and health policy, including reviews of the effectiveness of vaccine products. The Cochrane Collaboration declares its mission “is to promote evidence-informed health decision-making by producing high-quality, relevant, accessible systematic reviews and other synthesised research evidence”. See below my recent letter to Professor Peter Gøtzsche, co-founder of The Cochrane Collaboration and Director of the Nordic Cochrane Centre, challenging a systematic review prepared by members of the Cochrane Vaccines Field, i.e. Adverse events after immunisation with aluminium-containing DTP vaccines: systematic review of the evidence. I suggest this review has facilitated poorly evidenced acceptance of the safety of aluminium-adjuvanted vaccines. 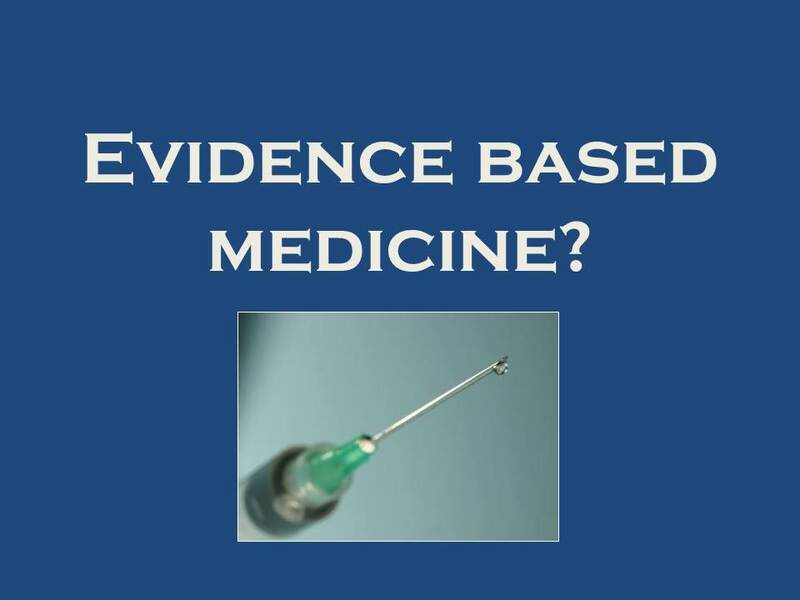 I write to you to challenge a systematic review prepared by members of the Cochrane Vaccines Field , i.e. Adverse events after immunisation with aluminium-containing DTP vaccines: systematic review of the evidence. I request that The Cochrane Collaboration take urgent action to re-evaluate this review prepared by members of the Cochrane Vaccines Field. I suggest this review has facilitated poorly evidenced acceptance of the safety of aluminium-adjuvanted vaccines. As a consequence, an increasing number of aluminium-adjuvanted vaccines are being added to vaccination schedules around the world e.g. multiple doses of diphtheria, tetanus and pertussis vaccines, and multiple doses of human papillomavirus (HPV) vaccine, amongst others. The meningococcal B vaccine is the latest to be promoted. The long-term cumulative effects of the ever-growing list of vaccine products are unknown. In their review Jefferson et al admit that: “Overall, the methodological quality of included studies was low.” And yet “despite a lack of good-quality evidence” Jefferson et al advise “we do not recommend that any further research on this topic is undertaken”. This recommendation is bizarre, particularly as in an interview with The Telegraph in 2002 titled “Vaccines expert warns studies are useless”, Tom Jefferson candidly stated: “Most safety studies on childhood vaccines have not been conducted thoroughly enough to tell whether the jabs cause side effects”. Dr Jefferson said: “There is some good research, but it is overwhelmed by the bad. The public has been let down because the proper studies have not been done.” Perhaps reluctant to “anger public health officials in Britain and elsewhere, who fear that any discussion will undermine parents’ confidence in national vaccination programmes”, The Telegraph article reports Dr Jefferson “emphasised that there was no evidence to suggest that any vaccine now in use was dangerous” but said “there was a “dearth” of sound studies on the risks and benefits” and “as a result, the information available on the safety of vaccines that are routinely given to babies and toddlers was “simply inadequate”.” It was reported Dr Jefferson “was especially concerned…because future vaccination programmes were likely to involve giving children “five, six, even seven vaccines all at once”.” Which of course is exactly what happens now, see for example vaccination schedules in the US, the UK and Australia . Given Dr Jefferson’s apparent appreciation of the ‘dearth’ of sound studies on the risks and benefits of vaccine products, and his concern about future vaccination programmes including “five, six, even seven vaccines all at once”, it is unaccountable that he and his colleagues could conclude in their strategic review “we do not recommend that any further research on this topic is undertaken”. From my layperson’s perspective, Jefferson et al’s ‘systematic review’ is an example of ‘garbage in, garbage out’. This Cochrane Vaccines Field review plays into the hands of vaccine manufacturers who are keen to develop a mass market for lucrative vaccine products. A World Health Organisation presentation acknowledges that vaccines are “becoming an engine for the pharmaceutical industry”, creating a global market with a “spectacular growth rate”, growing in value from US$5 billion in 2000 to almost US$24 billion in 2013, and projected to rise to US$100 billion by 2025. Similarly multiple revaccinations with the diphtheria, tetanus and acellular pertussis vaccines are also being ‘recommended’, which means they are effectively mandated for children. For example, according to the US vaccination schedule, as well as the primary vaccination series at two, four and six months, this vaccination combination is ‘recommended’ again between 15-18 months, a fifth shot between 4-6 years, and another shot between 11-12 years. I wrote to A/Professor Lan, asking him to clarify how increasing the number of ‘boosters’ of the existing vaccine protects against the new strain. Professor Lan did not deign to respond to my enquiry. I subsequently tried to contact his colleague Professor Lyn Gilbert but again received no response. I also raised the matter with Dr Linjie Zhang, an author of the Cochrane Review: Acellular vaccines for preventing whooping cough in children. Dr Zhang also failed to respond, yet another example of the lack of accountability of the academic community to the concerns of citizens re the promotion of vaccine products. In the US, the UK and Australia pregnant women are being urged to be vaccinated with a dose of diphtheria, tetanus and pertussis vaccine, even though it is admitted that “specific safety data are limited”. Other close contacts of young infants are also encouraged to be vaccinated, i.e. the ‘cocoon strategy’. What evidence is there to support this strategy? Certainly repeated ‘boosters’ throughout life with these vaccines must be a profit boost for vaccine manufacturers. Meanwhile others are raising questions about the safety of aluminium adjuvants in vaccine products, e.g. Professor Christopher Exley, Dr Lucija Tomljenovic and Professor Chris Shaw. I suggest it is time to critically consider the ever-growing list of vaccine products and revaccinations being added to vaccine schedules. Is it possible an over-use of vaccine products may have long-term repercussions similar to the over-use of antibiotics? Who can we rely upon to objectively review the burgeoning global vaccine product market? Certainly I have no confidence in the international ‘vaccination claque’ which pushes an ever-growing list of vaccine products. As I outline in my recent letter to Professor Warwick Anderson, CEO of Australia’s National Health and Medical Research Council (NHMRC), the ethical spotlight needs to be shone on the way vaccination policy and practice is being implemented. In my letter I provide examples of the lack of transparency and accountability in the vaccination bureaucracy, including the potential conflicts of interest and lack of disclosure by people involved in vaccination policy in Australia. My arguments are also relevant internationally. Professor Gøtzsche, The Cochrane Collaboration’s stated mission is “to promote evidence-informed health decision-making by producing high-quality, relevant, accessible systematic reviews and other synthesised research evidence”. The Cochrane Collaboration has a reputation to maintain and it doesn’t always get it right the first time, as we know from Hayashi/Tamiflu. I suggest The Cochrane Collaboration cast a more critical eye on the growing list of lucrative vaccine products. I request your urgent attention to the matters I have raised. *Please note, in addition to the cc list below, this letter will be circulated to other parties, and has also been published on my website. See for example: Exley C et al. A role for the body burden of aluminium in vaccine-associated macrophagic myofasciitis and chronic fatigue syndrome. Medical Hypotheses. Vol. 72, Iss. 2, Feb. 2009, pp 135-139. See for example: Tomljenovic L and Shaw CA. Aluminium Vaccine Adjuvants: Are they Safe? Current Medicinal Chemistry, 2011, 18, pp 2630-2637; and Shaw CA and Tomljenovic L. Aluminium in the central nervous system (CNS): toxicity in humans and animals, vaccine adjuvants, and autoimmunity. Immunologic Research, 2013, July 56 (2-3) pp 304-316. I suggest the ‘vaccination claque’ consists of the network of vaccine manufacturers, vaccination committees and groups, academics, bureaucrats, and organisations such as the World Health Organisation, US Centers for Disease Control and Prevention, US National Institutes of Health, the GAVI Alliance, the Bill & Melinda Gates Foundation, National Health and Medical Research Council etc. This is a powerful network and potential conflicts of interest need to be scrutinised. This entry was posted in Adverse Reactions, Aluminium adjuvant, Cochrane Collaboration, Cochrane Vaccines Field, Human Papillomavirus (HPV) Vaccine, Meningococcal, Vaccine industry and conflicts of interest, Whooping Cough / Pertussis Vaccine and tagged adverse events, adverse reactions, aluminium adjuvant, Bexsero, Cervarix, Cochrane Collaboration, Cochrane Vaccines Field, conflicts of interest, Gardasil, GlaxoSmithKline, HPV, HPV vaccination, Ian Frazer, meningococcal, over-vaccination, Peter Gøtzsche, systematic review, Tom Jefferson, vaccine industry, vaccine marketing, vaccine safety on July 8, 2014 by elizabethhart.